Wellbeing is finding that sacred space that speaks straight to your soul, a place that softens the edges of your day and lifts your mood. It is finding yourself surrounded by the things that mean the most to you, where you feel the freedom to be yourself. This is your sleep sanctuary. 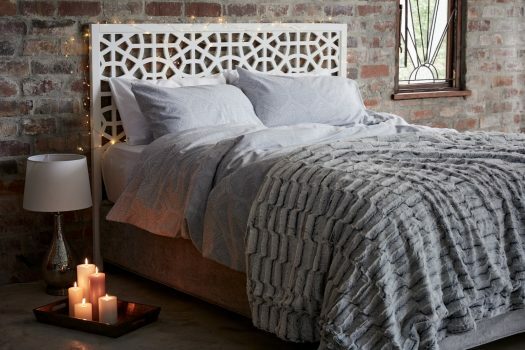 Create a bedroom that inspires you each morning and calms you at the end of each day. Fill it with textures and colours that both soothe and hug you close in their warmth. 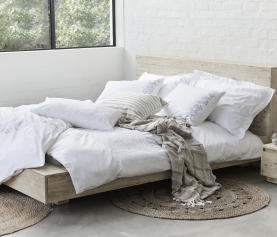 Select furniture to suit your unique style and bedding that looks every bit as comfortable as it feels. Good sleep health depends on a good sleep foundation. 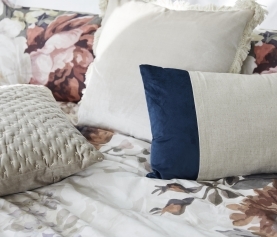 Your duvet and pillows are essential to getting good quality rest. 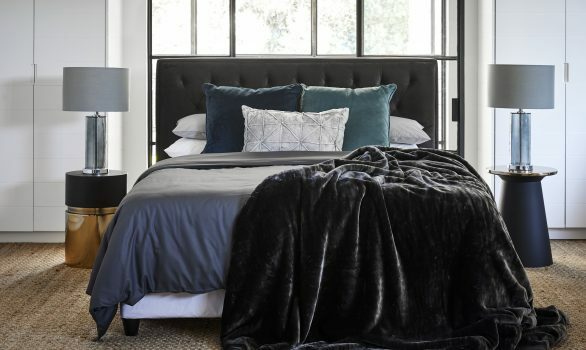 How you choose these layers will depend on your sleep style. The top things to consider are support, quality and comfort. 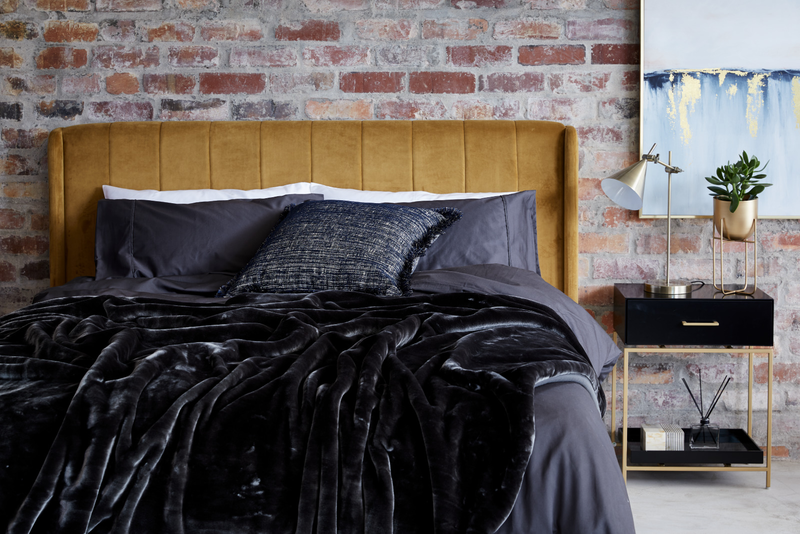 High quality bed linen that feels soft and luxurious means you will go to bed happy and wake up happy too. 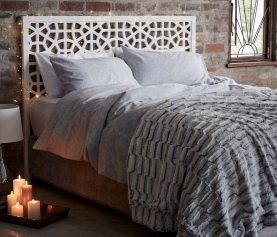 Beautiful colours, styles and patterns will keep your bedroom looking good too. Soft warm lighting creates a tranquil mood. Choose a beautiful stand alone lamp or a set of bedside lamps. 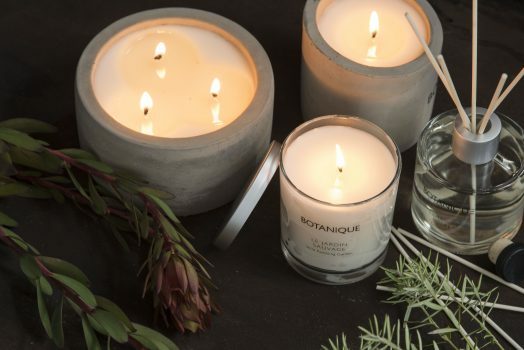 Keep some candles on hand for times that call for extra cosiness. Choose your palette to include calming colours. Cool shades of blue, greens, purple and grey are softer and more relaxing. The fragrance you choose can help for better sleep. Choose your scent to match your personal sleep needs. Keep your room cool and fresh from unseen dust and bacteria with the Dyson Pure Cool air purifier. Surround yourself with beautiful things. 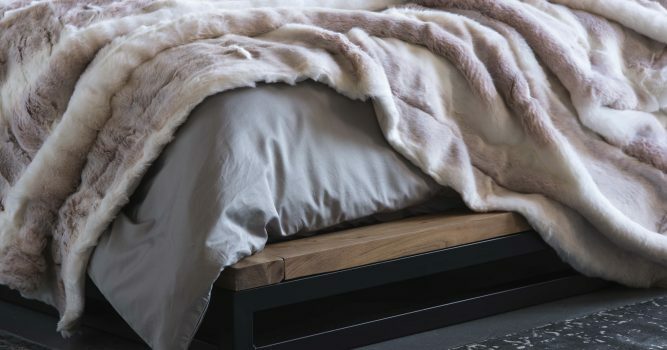 A few cosy throws make for a happy space. Choose curtains that not only protect your sense of privacy and keep your bedroom warm, but also finish the overall style of your room. Carpets are an easy addition to bring a sense of warmth and personal character to your space.